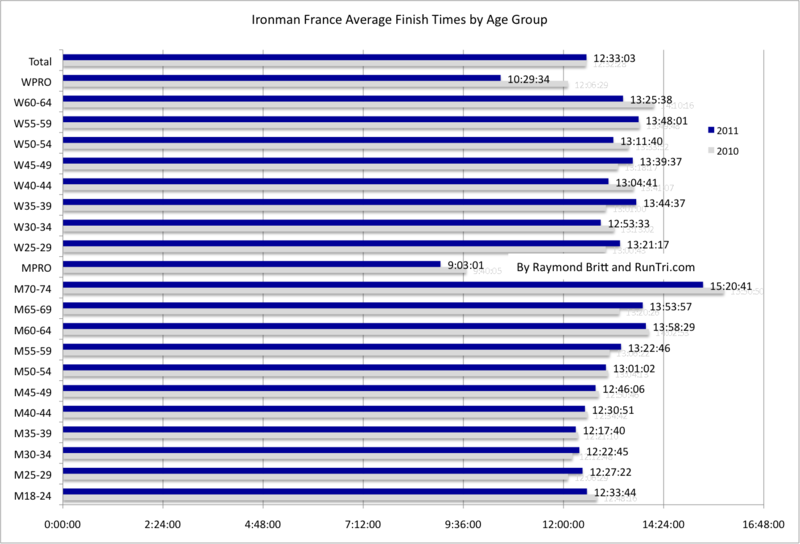 On our ranking of the Top 25 Toughest Ironman races, France has been ranked roughly in the middle, with an average finish time of 12:33. This finish time has been identical in 2010 and 2011. 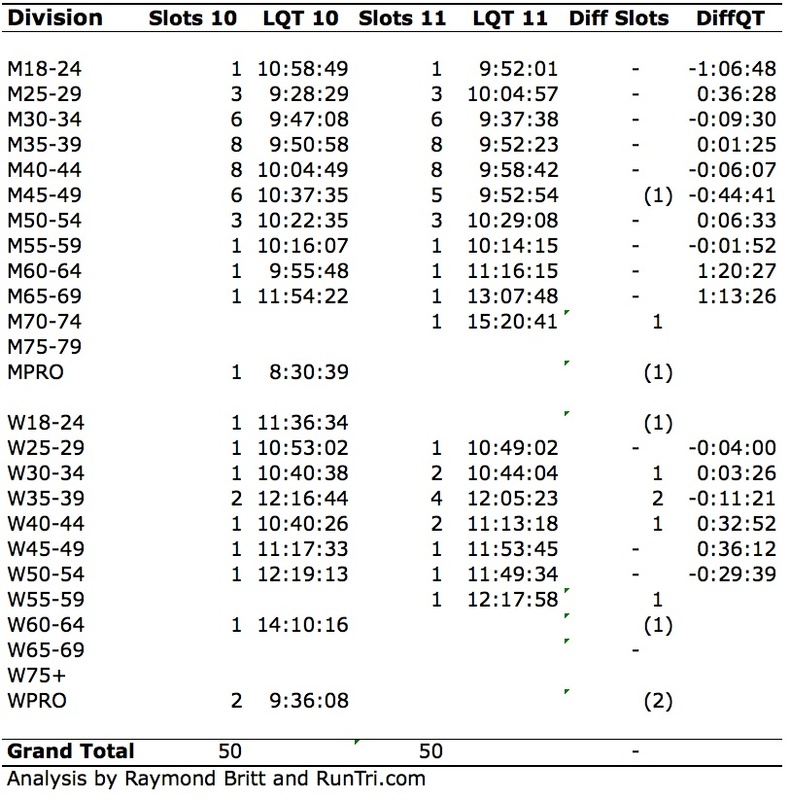 However, the race ends in 16 hours, not 17, and while the swim and bike cutoffs are consistent with other races, there's one less hour for the marathon. That helped contribute to a 9% DNF on the run. And of those who finished, there is a very wide distribution of datapoints on our bike/run correlation analysis . . . it's perhaps the most scattered scatter plot we've seen, relative to Ironman races. Look at the number of athletes -- each blue square represents an athletes bike/run result -- in the upper left quadrant: those are the athletes who rode too fast and didn't leave enough for the run. They finished, but it was ugly. 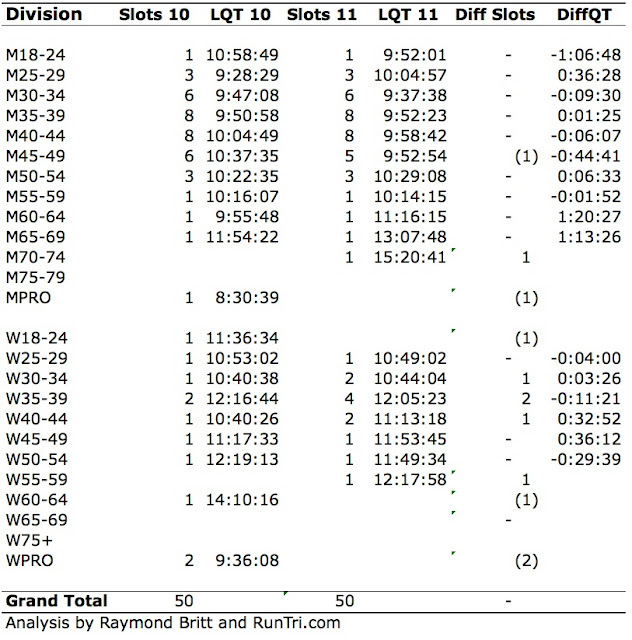 Far more left it on the bike course instead of taking it too easy, shown in the lower right quadrant. 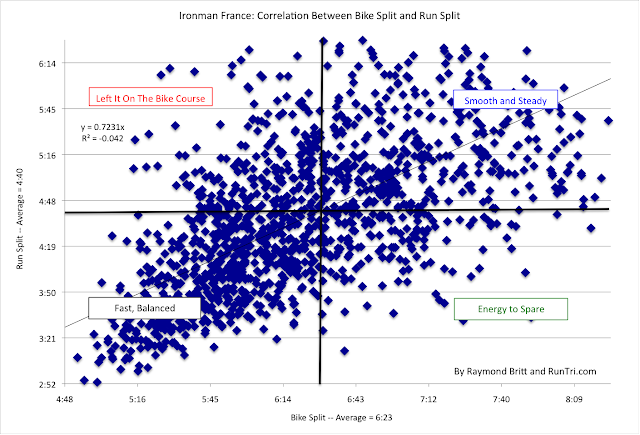 Those who balanced bike and run splits well are in the lower left and upper right quadrants. They had great races on a very tough course.